Um, hi. It’s November, and I feel like I haven’t blogged in ages. Yesterday I didn’t even realize Monday had passed me by without blogging until I was in bed, falling asleep. It was worth all the hard work just to see the little kids’ faces light up! Parents wanted to take pictures of their kids with us, and the kids were surprised to hear the Wizard of Oz music in the background. Oh, and we won the prize for best trunk! I was just expecting a “hey, good job – you’re the best!” but we also got a $15 Target gift card. Pretty snazzy. Now it’s time to kick it into Christmas gear. We’ve filled up about half our vendor spaces for the Winter Wonderland Festival, and the rest is starting to fall into place. I drove around like a crazy person in the rain today, delivering flyers and posters to our local Starbucks. By the way, Starbucks has awesome bulletin boards where you can post non-profit event flyers! I was tired, cold, and damp by the time I got home, but it was worth it. Speaking of Christmas, I guess I should get to the point. Today’s treasury comes to you super hot from the etsy presses! One of the most elusive subjects for women: what to buy for the men in your life. 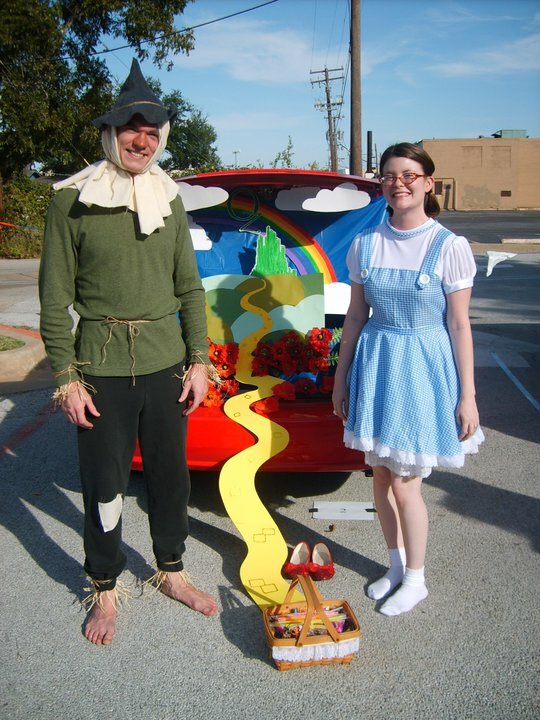 Pingback: Trunk or Treat decorating ideas - C.R.A.F.T.